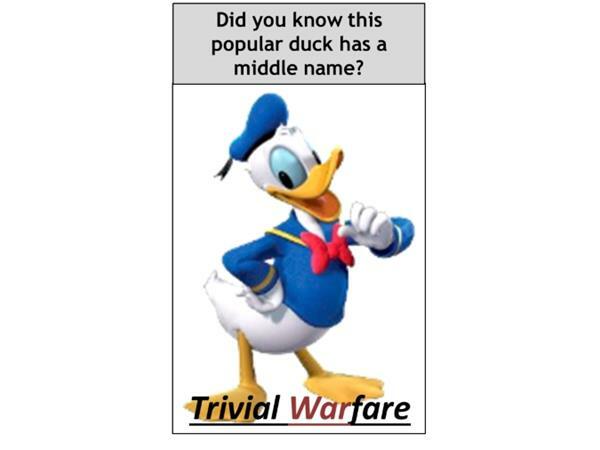 Episode 2 of Trivial Warfare featured some great questions. We started with a question about Donald Duck’s family and ended with a question about Presidential families. In the middle we learned about the contribution that German beer drinkers made to the English language, about a woman who is the epitome of bling bling, and what the Lone Ranger has to do with Classical music. And of course, there will be more terrible singing for your...umm, entertainment (kind of)? Anyway, check out episode 2 now on any major podcasting service and don't be shy about writing up a quick review! Thanks.